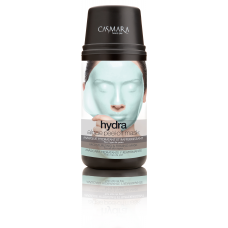 Beauty Plan oxygenating and refreshing effects formulated with seaweed extract, micro-capsulated and mint. A unique and exclusive Algae Peel-Off Facial Mask. This mask sets, facilitating the penetration of the active ingredients contained in the mask and the cream applied to the skin. 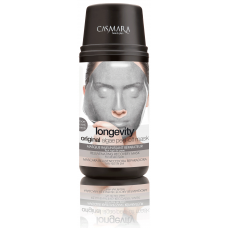 This mask can also be applied over the eyes and on the lips treating areas neglected by other masks. It lowers the temperature of your skin by up to 6ºC, providing a draining effect reducing puffiness and dark circles under the eyes.